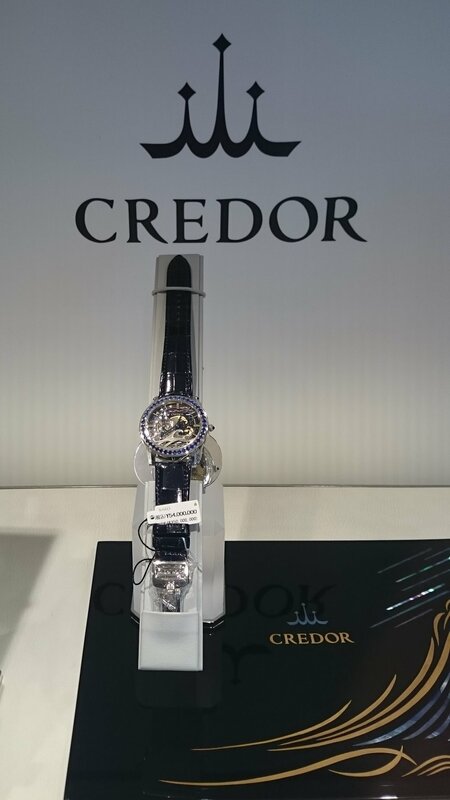 During my summer 2016 trip to Japan I had the pleasure of attending a presentation given by Seiko on the new Credor FUGAKU model (GBCC999) that was announced at Baselworld this year. 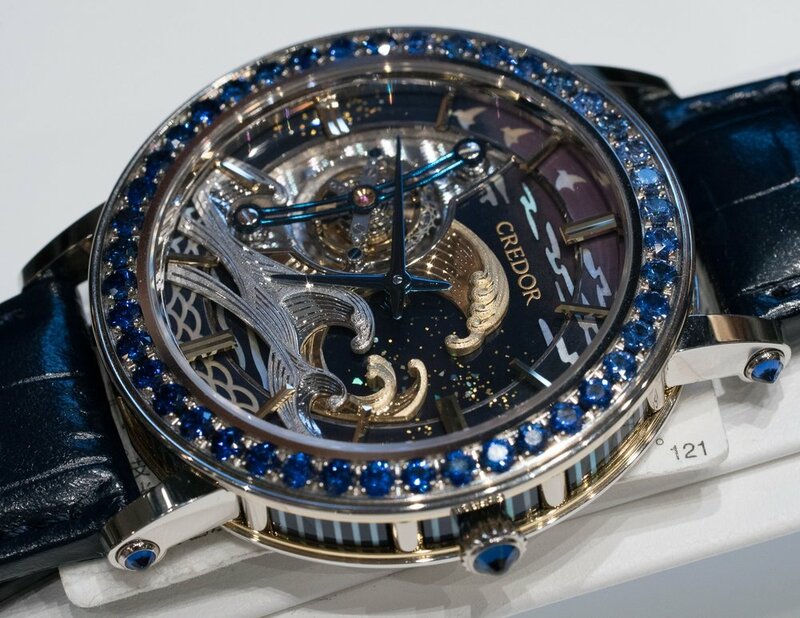 If you are not familiar with this model it is Seiko’s first tourbillon and is a limited edition with just 8 units being produced and a list price of ¥50 million excluding tax. 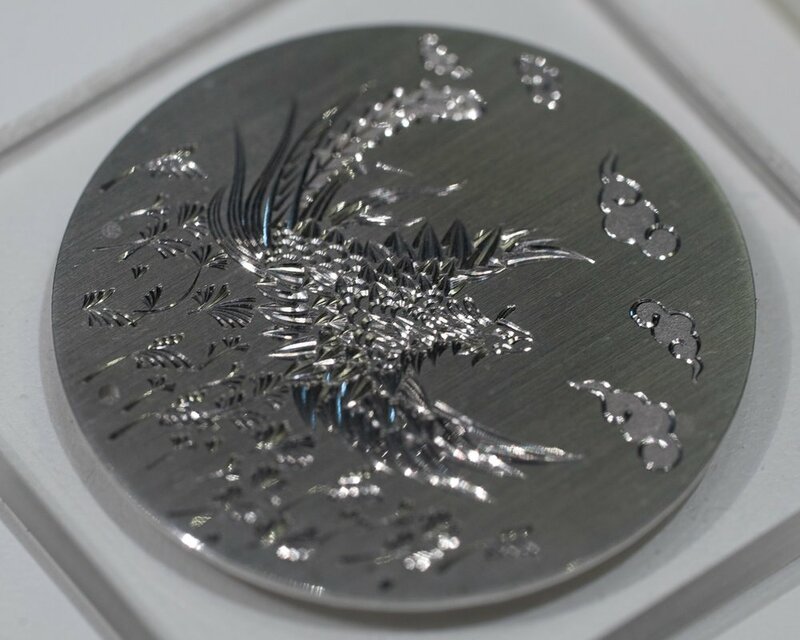 This watch was created by the artisans at the Seiko Shizuki-ishi Watch Studio located in Morioka. The event was held at the main WAKO store in Ginza and was open to the public. 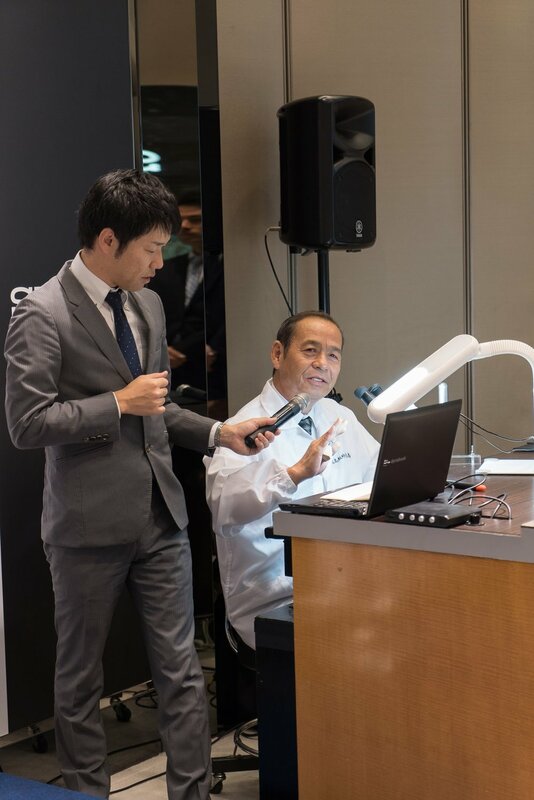 It was moderated by a Seiko representative who introduced the watch designer Nobuhiro Kosugi, from Seiko Instruments Inc. Design Division, who discussed the inspiration behind watch and a demonstration by master engraver Kiyoshi Terui. 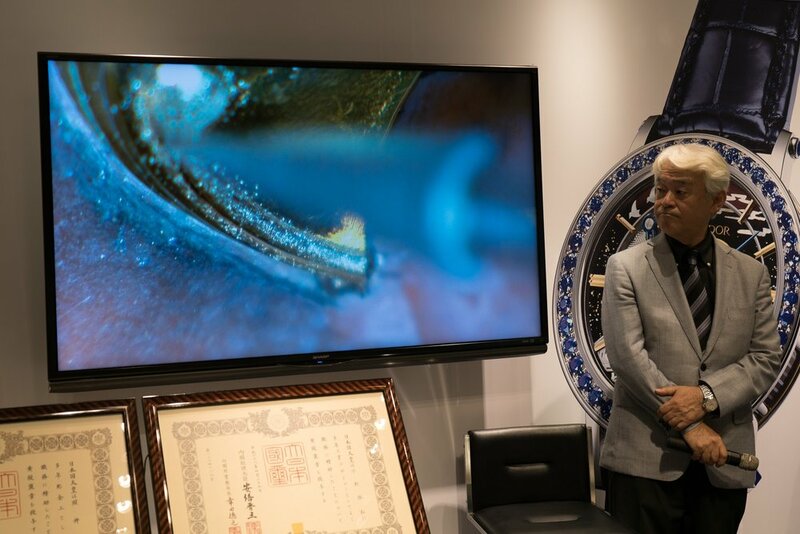 Both men have been recognized by the Japanese Government as Contemporary Master Craftsman and have been working for Seiko for many years. The presentation started with the designer Nobuhiro Kosugi discussing the design choices for the watch. The inspiration for the watch was to try and capture some of the aesthetics of Japan. 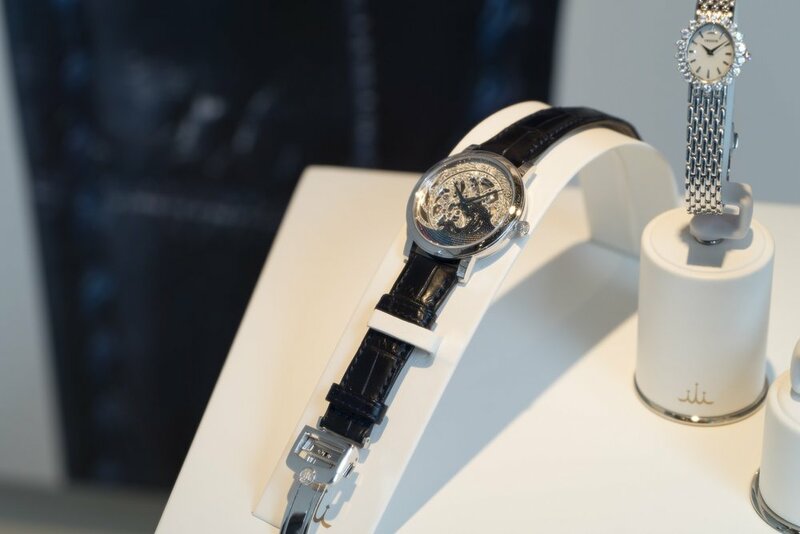 There were numerous traditional crafts employed in the construction and this includes the traditional lacquer finish on the background of the dial. This lacquer work was done by another master craftsman Isshu Tamura. The coloring of the lacquer work is inspired by the morning sunrises from the Mount Fuji region. The wave motif is clearly inspired by the very famous Japanese woodblock print “The Great Wave off Kanagawa” by Katsushika Hokusai but it was also pointed out that similar designs can be seen in many traditional Japanese works. Both the front and back of the dial feature engraved areas with not only the waves but also the mainplate and the plate around the tourbillon. There was then a quick discussion with Kiyoshi Terui who talked about his technique and the tools that he uses. Many of the tools are created by himself and due to the level of detail he is working with this is conducted under a binocular microscope. Kiyoshi-san then proceeded to show the tools that he works with and these were displayed on a large screen for the audience to see. Next he started with a blank dial and showed how the different carvings were made. This technique is different from many european techniques were a chisel would be tapped multiple times to create the required grooves. 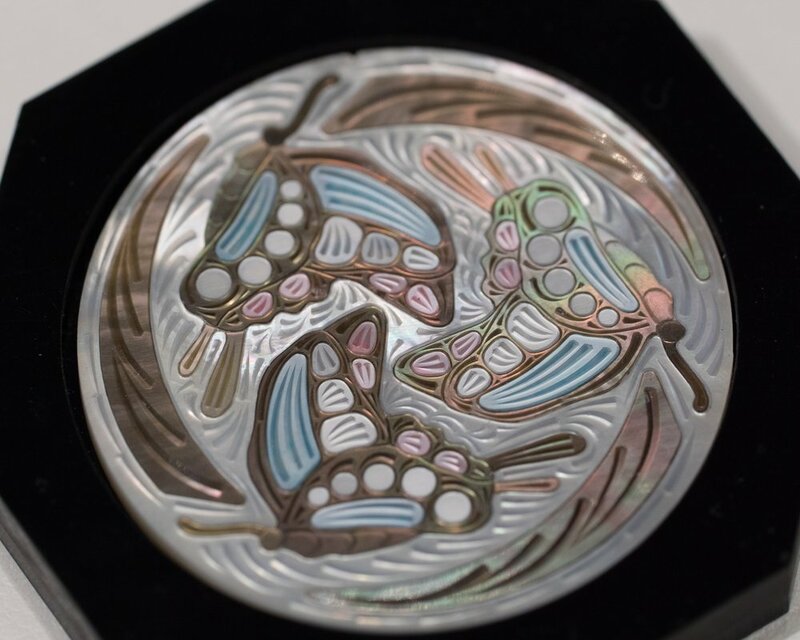 In the Japanese technique each line is made is a single movement and the pattern carved into the dial. These single cuts are then arranged to form the pattern or subject being presented. During the cuts the dial itself as well as the tool are rotated to allow the different curves and markings to be completed. After this Kiyoshi-san moved back to a partially completed dial and showed how the different carvings are positioned to develop the complete pattern. 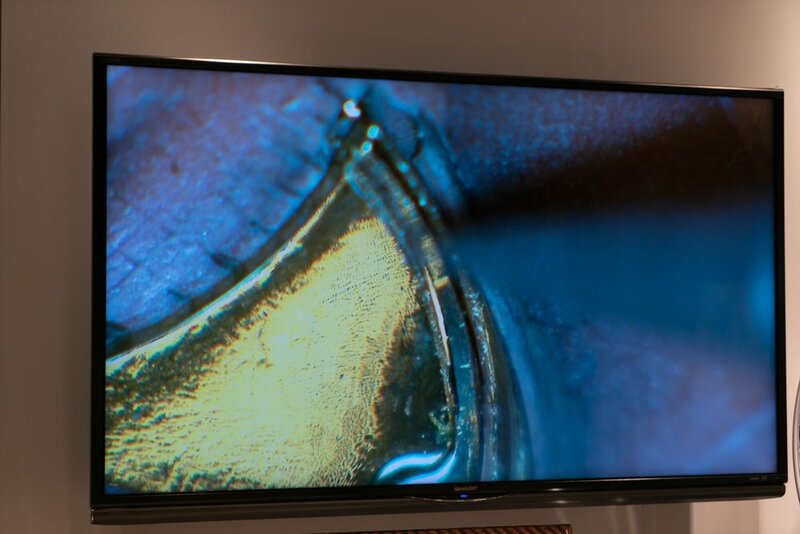 As the work is being shown under a microscope onto a large display it is difficult to judge the scale that is being worked on. To bring this into perspective Kiyoshi-san took the complete waste portion from a single cut and placed this onto his finger tip. 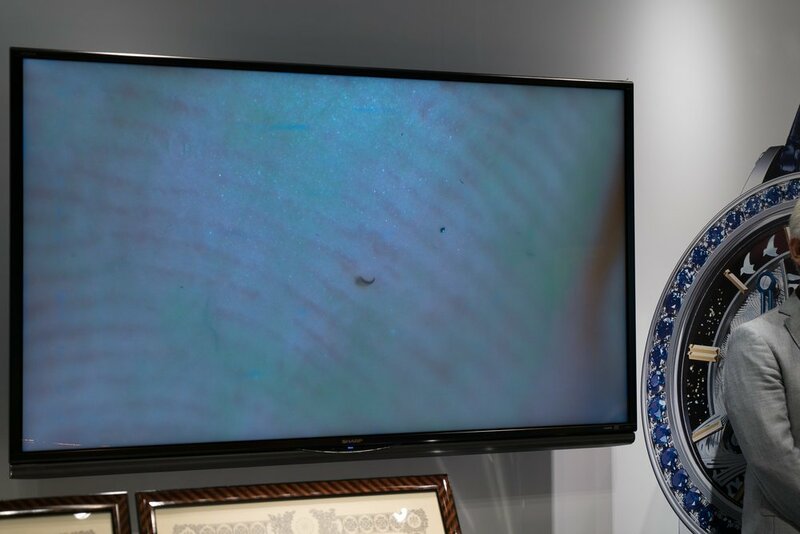 Through the finger cot you can see the ridges of his fingerprint and on this the small portion of the dial that was carved out. Kiyoshi-san then went on to discuss the other techniques that he uses when creating this dial. 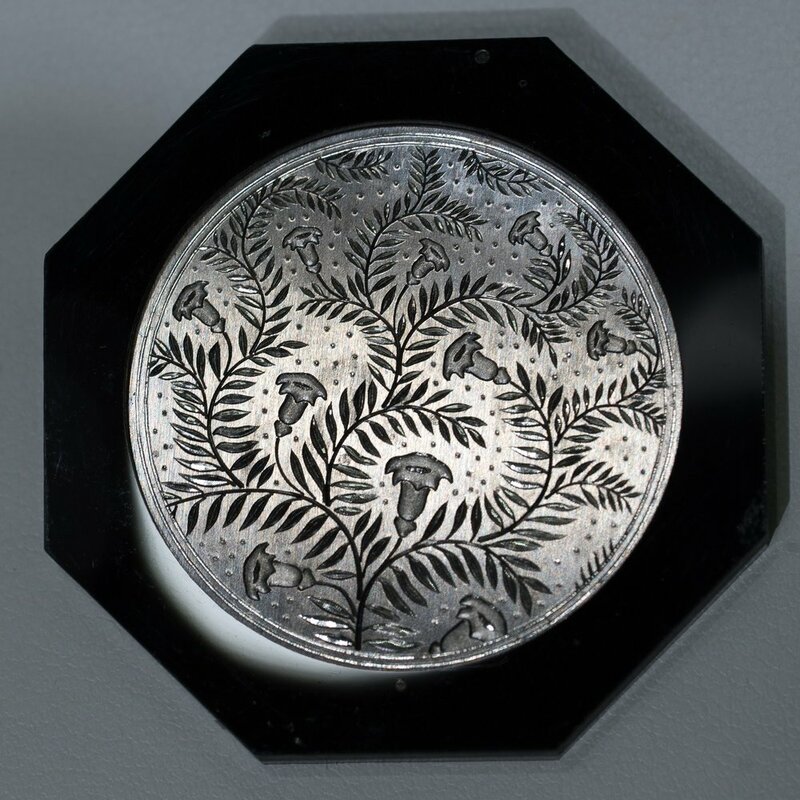 One of the techniques is to create a pattern on the edges of the surfaces to create a higher contrast. This creates a more matte finish and the edge is then carved away creating a much higher contrasting area. The main presentation then completed with both or the artists saying a few more words. After the presentation had finished I was able to view some examples of the different dial work that is produced. It really was a great pleasure to be able to see this master craftsman performing his trade. In the WAKO store there was also a case that was setup with the Fugaku on display. There are no photos allowed in the store but I did get a quick shot. 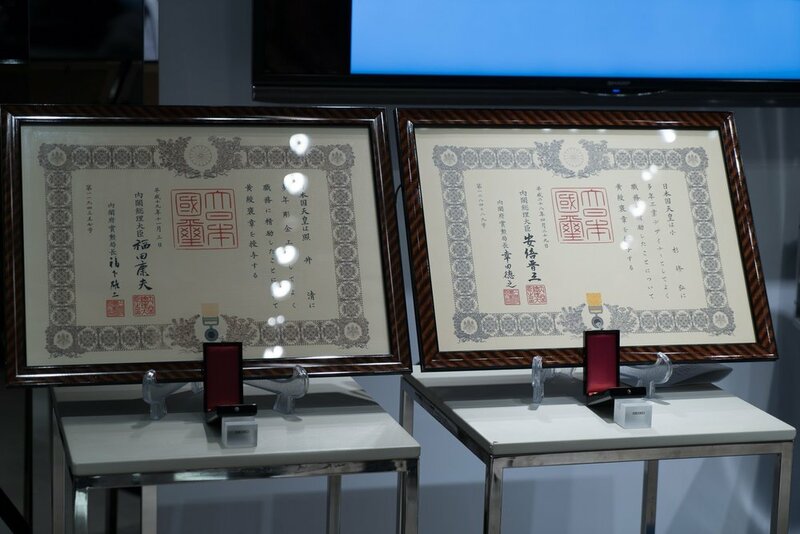 The case also contained the GBBD963 limited edition engraved skeleton model that was announced at the same time as the FUGAKU. This model again features a wave design in lacquer, and is inlaid with mother-of-pearl, that was also produced by Isshu Tamura. There will be 30 units of the GBBD963 produced and the model was also prominently displayed in the WAKO window. This model has a price of ¥4.8 million excluding tax. 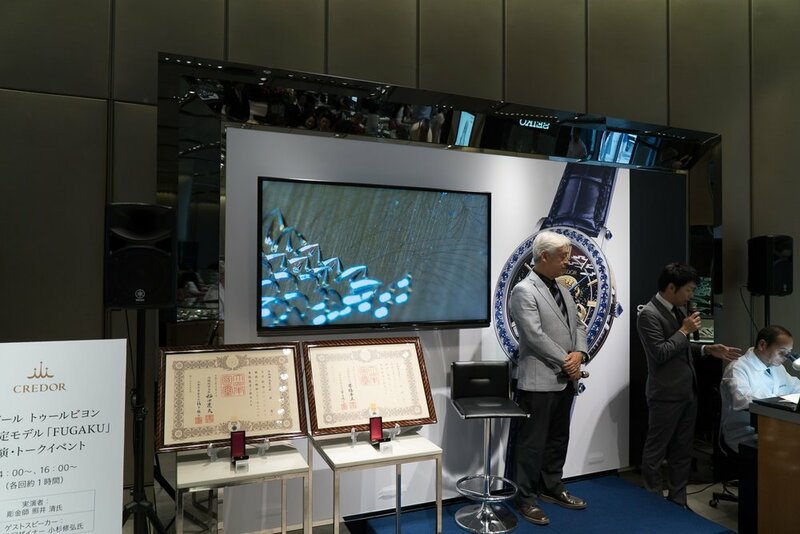 I was very glad to be able to make this presentation and it was a pleasure to see the level of detail and skills that go into making these amazing watches.